What does it take to live a long, healthy, happy life? Did you ever notice how some people look, feel, and act younger than their age? Or wonder why some people sparkle and are still youthful in their 80s, 90s, and even their 100s while others seem old at 30? Only a third of Americans say they want to live to 100. They fear 100 will bring pills, ills, and bills; disability, depression, and dementia, and life in a nursing home. It doesn’t have to be that way. The New England Centenarian Study, for example, found that of the centenarians they studied, half didn’t have a single disability before age 95, they averaged only one medication, and many lived in the community. There are centenarians who fly airplanes, excel at sports, teach at universities, write best sellers, run businesses, practice medicine, paint, sculpt, and have many other accomplishments. Longevity is an especially important issue because genetic engineering, tissue engineering, nano technology, hormone therapies, and other advances will enable you to live much, much longer. Research comparing identical and fraternal twins finds that 20-30% of longevity is due to genetics. That means about 75% of longevity is lifestyle. Exercise and nutrition play an important role. An often overlooked aspect of living a long, healthy, happy life is mental, or what I call the Anti-Aging ABCs® (Attitudes, Beliefs, and Coping Skills). Anti-aging psychology takes a holistic approach while emphasizing mental and lifestyle issues. My mind gets better with age. The myth is that your intellectual peak was at around age 20 and your mind gradually deteriorates after that. If you believe it, you lower your expectations for yourself unnecessarily. Let me make an analogy with computers. It is true that your brain’s processing speed (cf. a computer’s megahertz) slows with age. Your brain’s “hard drive,” however, gets richer and richer with age. Your brain also adds “programs.” A student driver is overwhelmed with all the things to do at once—gas pedal, break pedal, steering, speed, road signs, rear view mirror, traffic, etc. If you are an experienced driver, you are probably bored when driving and listen to the radio or music or talk to someone. Your mind knows how to do most of driving without thinking, which frees your mind to attend to other matters. Likewise an experienced 80-year-old bridge player can effortlessly outplay a novice bridge player. If you are a life-long learner, you keep adding to your “hard drive” and “programs.” Thus while your processing speed may be slower, your rich hard drive and programs makes a 20-year-old’s brain look anemic by comparison. Your mind can get better with age. 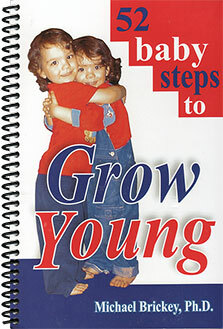 Think of all the things you know and know how to do that most 20-year-olds don’t. This is the best age of my life. The myth is that the halcyon days were your teens and maybe your twenties. Really? Remember what it was like to be a teen? There were conflicts with parents and teachers, insecurities about being popular, algebra, pimples, and endless worries about what you will do with your life and whether you will ever find some special person to love you. Several research studies indicate that people tend to be happier when they are older, with happiness not peaking until the late 70’s. Thus you have reason to be optimistic that life gets better with age. As a footnote, many women report that menopause was a particularly difficult time, but after menopause has been the happiest time of their lives. Also note that with age there is less peer pressure. In your twenties you have to get along with bosses, co-workers, customers, etc. When you no longer have to work for money, you are free of those peer pressures. Which do you think fosters healthy longevity—thinking happiness is downhill with age, or that happiness tends to increase with age? If someone who is thirty doesn’t remember something, he or she has lots of excuses—stress, insufficient sleep, new medication, too much to drink. But when someone over 50 doesn’t remember something, I often hear “senior moment.” Senior moment suggests you are brain damaged and incapable of remembering—so don’t even try. In the US, the prevalence of dementia is 5% at ages 71-79 and 37.4% for those 90 and older. Thus most seniors do not have brain damage and those who do often have physical disabilities contributing to the dementia. As mentioned in the computer analogy, processing speed may be slower and with age and there is a lot more information to search, but the ability is still in tact. If you have reason to believe you have brain damage, have it checked. Unless you have good reason to believe there is brain damage, trust your memory. Often if you tell yourself that it will come to you, your mind keeps searching and eventually comes up with the information. Don’t sell your mind short. Research with centenarians found that they had twice as many positive memories as negative memories. It wasn’t that they had an easy life. Rather, most of them were poor, they lived through the Great Depression, two World Wars and much more. They were like gardeners—nurturing positive memories and weeding out negative memories (or better yet seeing the humor in negative memories). This attitude is one you can emulate. It will result in a more positive outlook and feeling happier. Other coping skills include being good at dealing with change and loss. This gives you some flavor for anti-aging psychology. 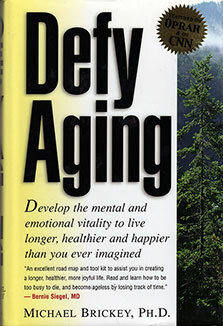 I discussed anti-aging psychology in detail in my critically acclaimed book, Defy Aging. I don’t promote the book anymore, however, as it is more than ten years old and some of the information is dated. There is a lot of anti-aging information on this website. Also I have interviewed more than a hundred anti-aging experts. 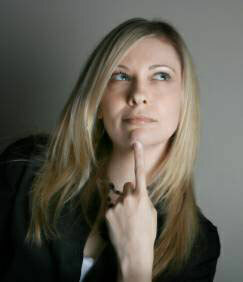 These free fifty-minute podcasts are at www.AgelessLifestyles.com. If you are a psychologist, social worker, counselor, or nurse, you may be able to receive 14 continuing education credits for Anti-Aging Research and Therapies: What is Evidence-Based and What is Not or 10 CEs for Aging and Positive Psychology: Biological, Cognitive, Personality, Health, and Clinical Issues. 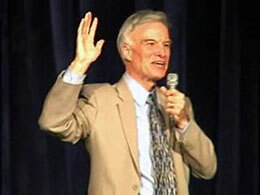 If your organization needs a speaker, visit www.Anti-Aging-Speaker.com.